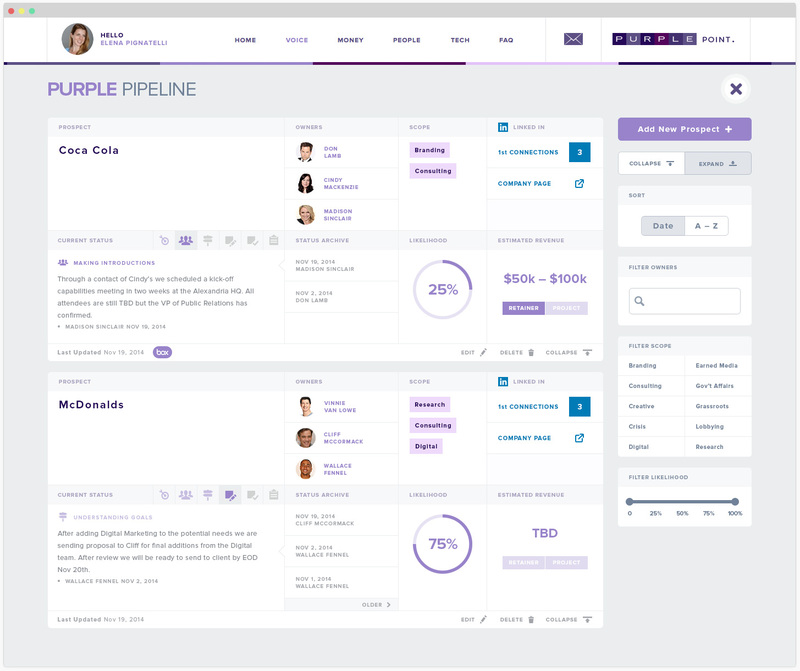 Currently working from a basic Excel-like layout on Purple Strategies’ internal “Point” intranet, the new business team came to us with a need for a more robust tool. 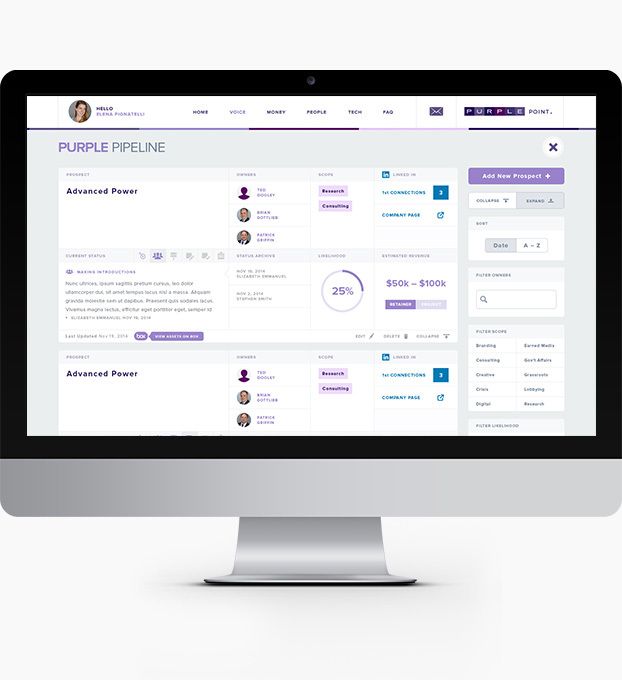 Taking the concept and running with it, I created a new business app, Purple Pipeline, that added a dashboard-type layout, at-a-glance updates, and an integration with LinkedIn’s API to make the most of connections within the company. 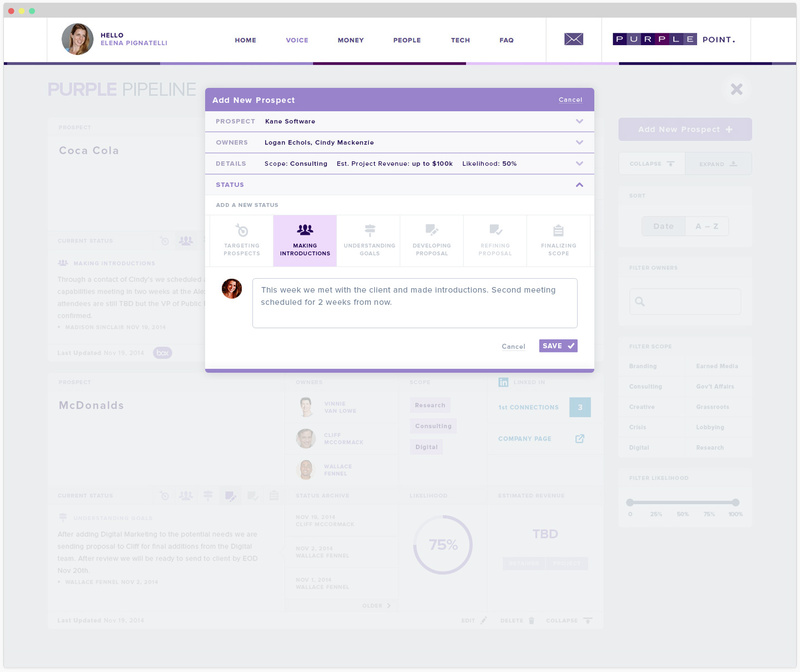 In hopes of providing transparency and encouraging collaboration from the whole staff, the new business team wanted some of their new prospect information to be available to the entire company. 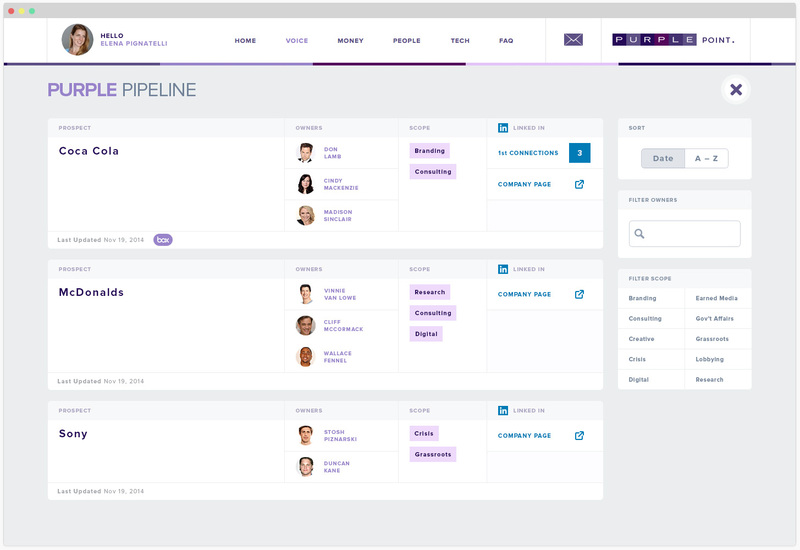 This led to two different views: the company-wide view as seen above and the more detailed view for upper management and account managers as shown below. 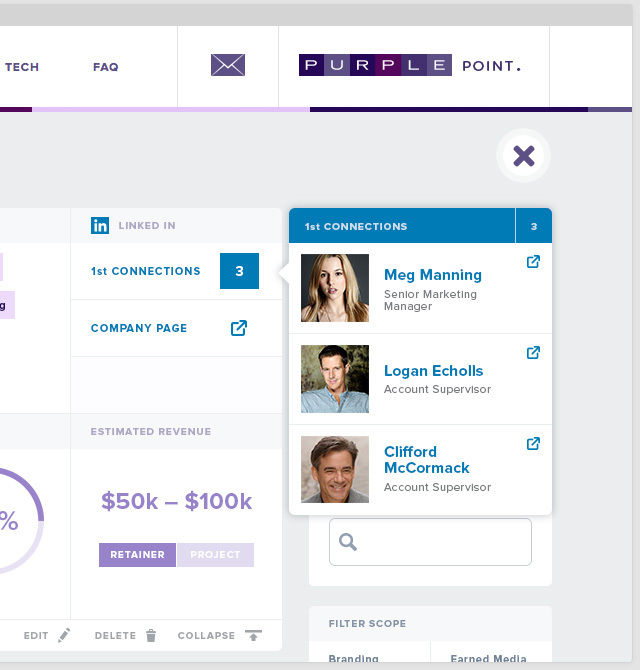 The LinkedIn integration would look for connections you had with employees at the business in question and reveal unknown connections that may give Purple an additional contact and help win the new client. Directly linking to their LinkedIn profile allows for a quick start to the conversation. In addition to being easier and more fun to use, it also had to be extremely easy to add and update new business prospects. After conducting user research and testing various user flows through clickable Invision wireframe prototypes, I created a form-driven step-by-step process. 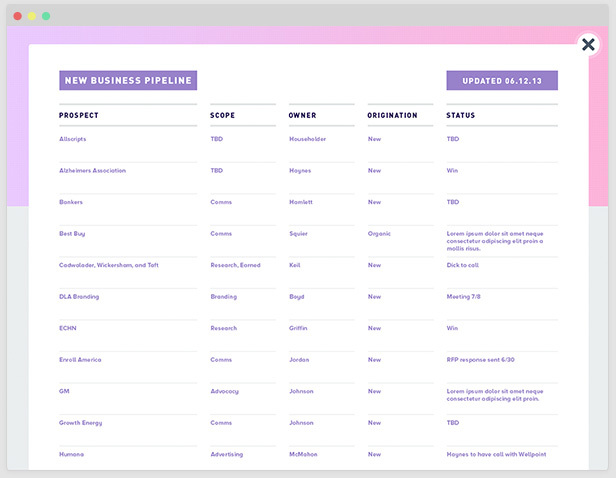 By separating the information into sections or steps and using clickable buttons rather than open form fields when possible, a user can quickly fill it out and jump back into a specific section when an edit is needed.